Amos Lee kicked off the first of two shows at The Theatre at Ace Hotel on November 11 after a LONG week of political chaos. Downtown Los Angeles was on a three day bender (which would continue through the week) and the streets were rarely seen without protestors. Any artist playing a show during election week – especially this election – is given a platform that can be tricky to navigate. Do you address the tension? 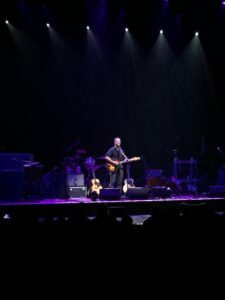 It was hard to turn off the anxious feeling walking off Broadway into the gorgeous, historic theatre, but after a few songs it was clear that Amos Lee would bring some respite from the world outside. “I can’t go back and change Tuesday for you, but I can play you some songs,” Lee gestured to a fan, and collectively we all sighed with relief. 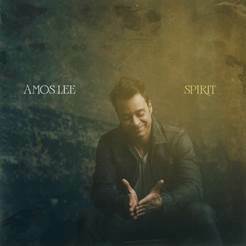 Opening with Lonely Light off his new record Spirit, Amos Lee took us on a journey of songs that fit somewhere between folk and soul. His voice is spectacular – there is no question about that – but he has a way of stringing together the right words with the perfect intonation that brought at least a quarter of the audience to tears at some point. A few favorites of the night include Arms of a Woman, Baby I Want You, Keep It Loose, Keep It Tight and Night Train. Between songs the audience heard stories of the importance of education (Lee was a school teacher) and a touching moment performing at the White House to veterans. Moving into Tricksters, Hucksters, and Scamps, Lee took the opportunity to point out the ironic timeliness of the song, putting emphasis on lyrics like he stole that election/ Put his face on every stamp/ On his council were tricksters, hucksters and scamps. The collection of musicians on stage deserve their own place in this review – usually for singer-songwriter shows the band takes a backseat, but Lee’s band was front and center. One of the highlights of the night came when the full band huddled together in true bluegrass fashion and played a few songs (harmonies and all) under a single mic. The cover of Ginuwine’s Pony was something that had to be experienced live, but just know that it took the theatre to a whole new level. After a brief encore, opening band Shel came back on stage to help close the show with a lively rendition of Sweet Pea, giving us all a few bars of happiness to repeat in our heads as we prepared to rejoin the unrest outside. Amos Lee just announced winter/spring tour dates, so if you are on the east coast before March definitely don’t miss this show.